Discussion in 'Weapons and Tactics' started by Lug's Spear, Jan 16, 2013. 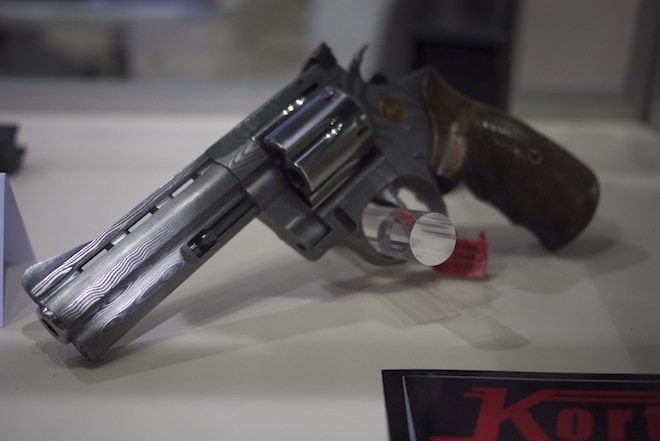 Here is a place we can discuss the new releases we are interested in from Shot Show 2013. The thing that catches my eye the most is the new stuff from STI since I am a 1911 junky. They put out a new line of STI Duty One's (I own an older version, 2nd generation I believe). Now there is a commander sized one which is making me drool. 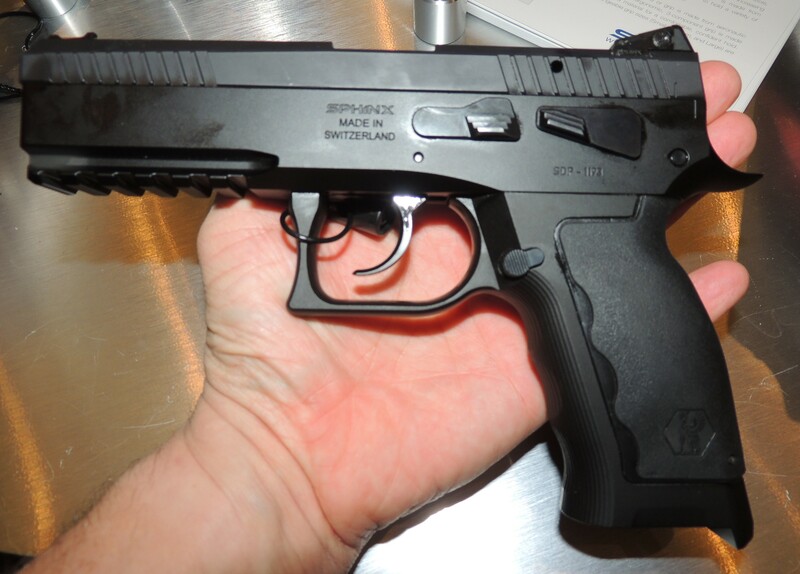 Apparently they are releasing a newer version of the ppq. I thought that pistol would be out for a while before they put another version into production. Looks like the major change is the magazine release, double action trigger (appears to be a small hammer in the back), and new slide serrations. The plat poster Chabone is there, I'm sure you could pm him and get some info from the floor. That's a great looking piece. I'm a little bit surprised by the price. Would have guessed more. Please keep any SHOT news coming. And I agree, 1911's rule. I need more. Looks like IWI is coming out with some new versions of their Tavor rifle. Looks like a really nice bullpup. They also have a 9mm conversion ability. I'm not sure if IWI and magnum research are the same thing anymore or what is goin on with that, but Magnum research recently released a pretty affordable 1911 called the Desert Eagle 1911. Someone finally made it to the new STI models I mentioned earlier. Skip to 35 seconds in to avoid the ads. I'll believe the Tavor when I see it for sale. yeah they keep saying MSRP is $2000, but I can't seem to find one yet on the usually websites that sell firearms. I think it still has some legal hoops to jump through. The Tavor looks pretty slick. Kimber is releasing a new 1911 - the Master Carry. Colt is putting out their new Marine 1911. 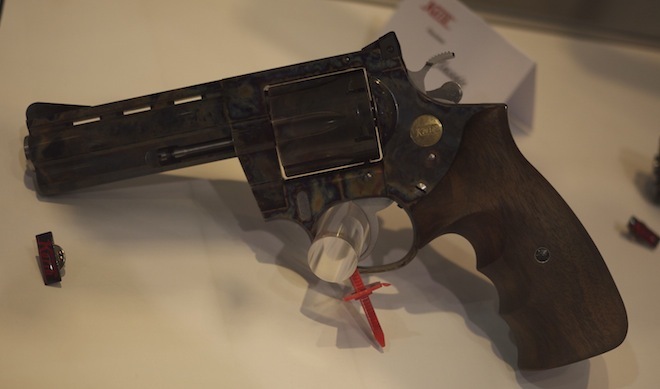 It is the gun that was awarded to the .45 contract for the Marines. It's got some FDE duracoat and a light rail on it. This is like the 3rd company who was to manufacture them here? According to the internet you can get them in Canada and have been able to for years. I'd probably pay 2k for one but less sounds better. Man sig has some cool new stuff. They have a double stack .45 called the p227 and they are coming out with a single action only p226 variant. The new p226 type sounds pretty attractive. Their new suppressors look kind of bulky though. I got a buddy headed for the Shot Show in Vegas. He'll be at the Tactical Night Vision Company Booth. He's gonna rent some escorts then go ride in a trophy truck. He's supposed to give a range report when he gets back. Why is it so freakin big??? I like that Ruger tweaked the look of the 22/45 to make it less...colourful. If I can act quickly enough, after they hit shelves, I just might pick one up.